PITTSBURGH—The advent of computer-enabled electronics has changed the face of consumerism over the past 40 years, making information piracy more commonplace and privacy more difficult to achieve. Join the University of Pittsburgh’s School of Information Sciences (iSchool) as it presents David H. Holtzman (A&S ’80), author of Privacy Lost (Jossey-Bass, 2006) and Surviving Identity Theft (Adams Media, 2009), who will deliver the 2012 Sara Fine Institute Lecture, titled “Stealing Digital Assets—Piracy and Privacy,” at 3 p.m. March 29 in the Lower Lounge of the William Pitt Union, 3959 Fifth Ave., Pittsburgh. A reception for attendees will follow the presentation; RSVPs are requested by March 26. In the lecture, Holtzman will explore the consumer act of acquiring data without paying the owner (“piracy”) and the industrial act of acquiring information about consumers (“marketing”). Holtzman has been involved in information technology for more than 30 years. He earned his BA in philosophy from Pitt and a BS in computer science from the University of Maryland, Baltimore County. He began his career with large network information systems as a cryptographic interpretive agent working around the world (often on submarines), followed by a position at the National Security Agency as a Russian linguist and Soviet manned space analyst. He later worked at Network Solutions as chief technology officer. He designed the current shared registry system used by all dot-com registrars. He was instrumental in establishing the Internet Corporation for Assigned Names and Numbers (ICANN), the current oversight authority for the Domain Name System (DNS). The iSchool’s Sara Fine Institute is dedicated to examining the ways in which technology impacts interpersonal communications and relationships with family, friends, professional colleagues, governing bodies, health care providers, and educational institutions. Since its founding, the institute has promoted multidisciplinary studies of users of online information, digital information production and use, and the impact of information technology on scholarly publishing. More information about the Sara Fine Institute is at www.sis.pitt.edu/~fineinst/. 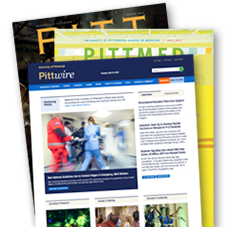 For more than 100 years, Pitt’s iSchool has educated students to become leaders in the information professions. The iSchool offers degree programs in information science and technology, library and information science, and telecommunications and networking. For more information about the school, visit www.ischool.pitt.edu.